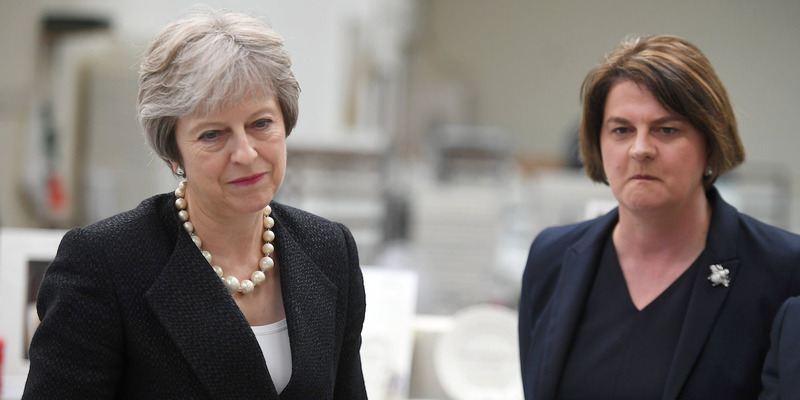 Clodagh Kilcoyne – WPA Pool/Getty ImagesBritish Prime Minister Theresa May and Arlene Foster, the leader of the Democratic Unionist Party (DUP) visit Belleek Pottery, on July 19, 2018 in St Belleek, Fermanagh, Northern Ireland. The Democratic Unionist Party which props up Theresa May is threatening to pull the plug on their confidence and supply deal with the Conservatives. 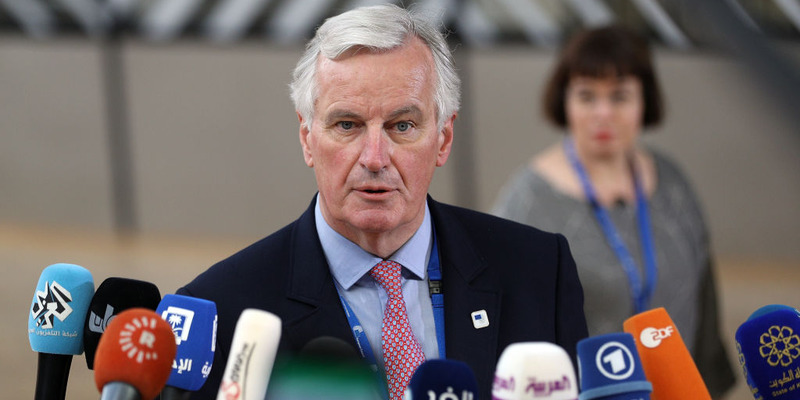 The Northern Irish party is furious with reported plans for Northern Ireland to effectively stay in the customs union and single market during the backstop period. This would mean new checks between Northern Ireland and the rest of UK after Brexit – a clear breach of the DUP’s red line of new divergence between Northern Ireland and Great Britain. The DUP has threatened to vote against the budget, which in times gone by would bring down a prime minister. LONDON – Theresa May’s fragile government is edging closer towards collapse after the Democratic Unionist Party, which props up the Conservatives, threatened to withdraw their support for the prime minister over her controversial Brexit plans. In the first sign of a crack in the government, the DUP abstained on a Labour amendment to the Agriculture Bill on Wednesday. If the DUP does vote down the budget – which will be revealed by Chancellor Philip Hammond later this month – the chances of another early general election will crank up a few notches, as May’s leadership would be in peril. In summary, the many parliamentary factions which have for months threatened to derail both May’s Brexit plan and her leadership have erupted into life – and MPs have only been back from recess for two days.